The mysterious iconic figures of Charlie Willeto came to the attention of sculptor Greg LaChapelle in 1960 while making a trading trip through the Nageezi area of the eastern Navajo Reservation. 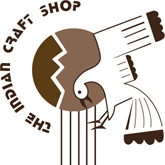 Charlie Willetto was a hataalii, or Navajo medicine man, and sheepherder who became one of the earliest known Navajo folk artists, creating some four hundred carvings in only four years between 1960 till his death in 1964. The inspiration for his animal and human figures and spirit forms came from several sources. Coming from a lineage of powerful medicine men and women, Willeto in his early years was influenced by images found in sandpaintings and other ceremonial objects. His work also showed an awareness of Navajo textile design, ancient petroglyphs, animal dance figures and diverse ornamentation. His greatest influence seemed to stem from drawing on imagery from deep within his psyche. 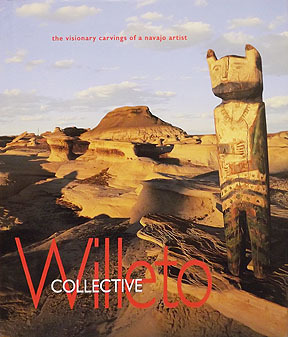 The book, includes beautiful full color photographs of his unique figures taken by Bruce Hucko, as well as remarks from Navajo artist Shonto Begay, museum directors Walter Hopps and Lee Kogan, sculptor Greg LaChapelle, and American folk art collectors John and Stephanie Smither places the work of this inspired artist in the forefront of not only Navajo art, but also of contemporary American folk art.